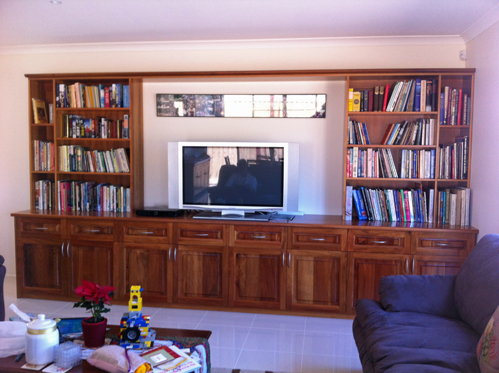 This Blackwood wall unit is the centrepiece of this room. It has lots of cupboards and drawers for storage and 4 media drawers. The top bookshelves finished the unit well. Blackwood has timeless appeal, regardless of the furniture style. It is finished in 2 pack satin lacquer.